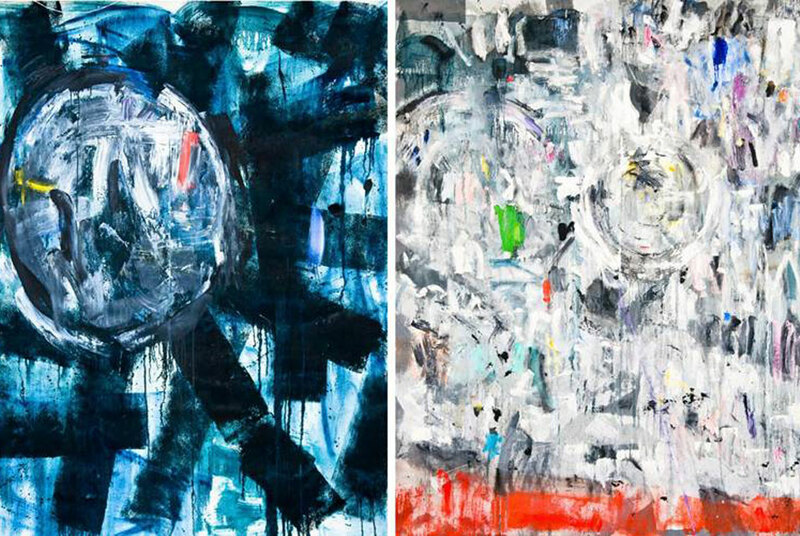 Artist Synonymous with Lyrical Abstraction Debuts New Works for the First Time in the United States in More than Two Decades. BEVERLY HILLS, CA.- Two years ago, long before opening his Camden Drive gallery space in Beverly Hills, art collector Herair Garboushian became acquainted and enamored with artist John Seerys work of the early 1970sbut its Seerys most recent work that has had Garboushian courting the artist ever since. The only other artist that has had the same powerful effect on me is Rothko, says Garboushian. Seery is an oft-cited prime example of the Lyrical Abstraction movement in New York and Los Angelesa movement that encompassed work by artists such as Brice Marden, David Reed, and Larry Poons in the late 60s and 70s, also has been applied at times to the work of Arshile Gorky, Richard Diebenkorn and Robert Motherwell, and by definition could feasibly extend to the work of many abstract artists to this day. Its a painterly, emotional and decidedly non Hard-edge type of abstraction. Its Seerys sumptuous forays into this style that first caught Garboushians eye. When Garboushian finally made contact with Seery however, he got much more than he originally bargained for: this was not just an artist who had helped define an art movement forty years priorthis was an artist experiencing his next major artistic breakthrough. Seerys new, emotionally charged canvases are massive, color saturated works that achieve their own balance of harmony. Seery works both outdoors and indoors using his own hands, sticks and brushes, applying removing and sometimes even disintegrating layers of paint to achieve what he considers a complete work. John Seery (born 1941) showed at Andre Emmerich Gallery, New York, throughout the 1970s and was hailed at the time in Art in America by critic Peter Schjeldahl as probably the strongest and certainly the most exciting abstract painter of the moment. He is considered one of the original members of a loose art movement called Lyrical Abstraction. The movements name is derived from an exhibition of the same name (in which Seerys work was included) that began at the Aldrich Contemporary Art Museum in 1970 and ended up in the Whitney Museum in 1971. Seerys work is included in collections at the Whitney, Guggenheim, Hirshorn, National Gallery of Australia (in a two-person show featuring John Seery and Jackson Pollock), Fogg Art Museum, and Museum of Fine Arts, Boston, among many others. After working and showing in New York, Seery subsequently took positions with Harvard and Cornell throughout the 1980s. From then, Seery established a strong presence in Europe that extends until today. He boasts a sterling resume, yet in recent years, it may be noted, he has exhibited less and less in the United States. That he has exhibited rarely in the past two decades however is not an indicator of his creative inactivity. It is in fact very much the opposite, a testament to his highly selective vetting processone in which the artist destroys nearly as many paintings as he creates as he seeks to create what he deems a complete painting. All work that fails to meet Seerys criteria is shelved, to either be reassessed or painted over at a later date. Seerys discerning tolerance for only work that he deems complete yields exceptional results, as will be evidenced in his upcoming exhibition at GARBOUSHIAN GALLERY.